Welcome to hometown hospitality at the Saddle & Surrey Motel in Estes Park. 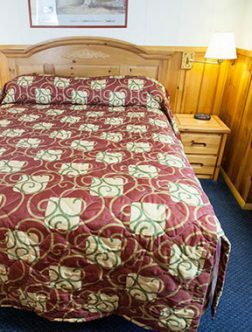 We offer economical lodging consisting of smaller, cozy rooms with either a king or queen bed and shower. 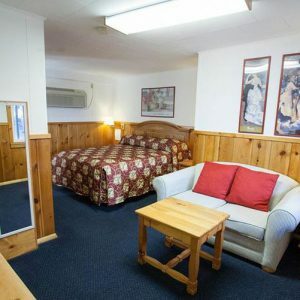 Also available are larger rooms with 2 queen beds and several feature full kitchens. 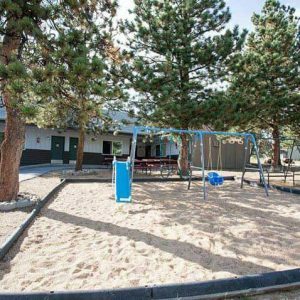 Relax with your family in our heated pool or hot tub and barbecue in our picnic area. 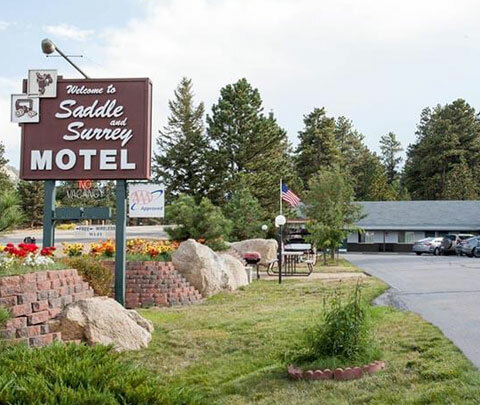 Enjoy your stay in Estes Park and visit the friendly staff at the Saddle and Surrey Motel. Hours: Check-in 2:00pm to 9:00pm. Please call if arriving after 9:00 pm. 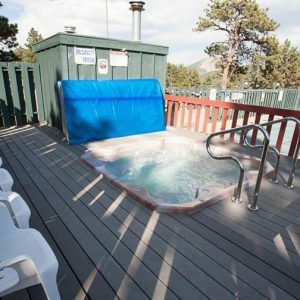 Saddle & Surrey Motel is one of the Best Motel in Estes Park with modern amenities & guest facilities in Estes Park. Needed a place to stay on our arrival to Estes Park in the late afternoon before heading into RMNP for 5 days of camping. This was just what we needed. Small and comfortable. Clean. Away from the main downtown area. Not to expensive for the area (which is expensive but all tourist areas are anymore) The owner and manager were real friendly, helpful and accommodating. My kids enjoyed the pool. Feel like I made a good choice with not knowing where to stay and will definitely choose this place again when we return someday. Decent Mexican restaurant just down the street. Nice Comfy place to stay. Nice comfy place to stay. 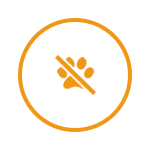 Great value, clean rooms, friendly staff. They mail my forgotten slippers to me! They even had some hair spray for me to use in an emergency. Will definitely be back soon. Nice to park right in front of your room. This motel is the old school motel that has been well kept up. Staff was very friendly and helpful. Motel was close enough to downtown Estes park to visit but without the crowds. It took us about 30 minutes from the hotel to the trails at bear lake in rocky mt national park. Breakfast was very limited due to the small space they have for it. Would stay again for sure. 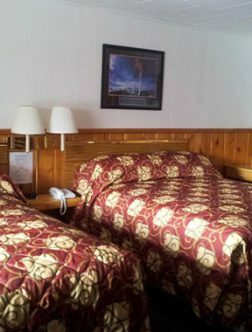 Welcome to hometown hospitality at the Saddle & Surrey Motel in Estes Park. 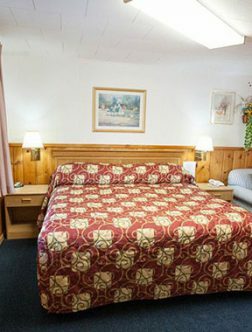 We offer economical lodging consisting of smaller, cozy rooms with either a king or queen bed and shower. 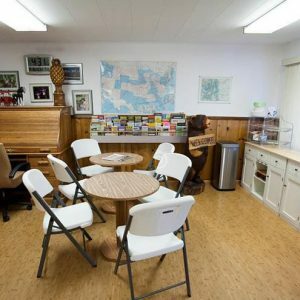 Also available are larger rooms with 2 queen beds and several feature full kitchens. Relax with your family in our heated pool or hot tub and barbecue in our picnic area. 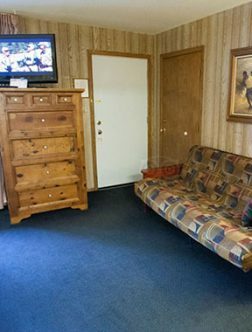 Saddle and Surrey Motel 2019. All Right Reserved.